The history of Apaltagua began 18 years ago when the successful American businessman Edward Tutunjian was on vacation in Chile. He fell in love with the country and with its amazing wines. During this trip, he decided to invest in Chile and acquired his first vineyard called ¨La Pancora¨. It is situated in the 7th Region, near to Tricao in the prestigious Curico valley. Subsequently, with the intention of increasing both the area under cultivation and the variety of wine grapes, he acquired a second property in an area called ¨Huaquen¨. This vineyard is situated in Curepto, an area known for the excellence of its grapes, which lies on the border of the Curico and Maule Valleys. Due to the great success of his first wine launched in the American market under the name 'Pacifico Sur', Mr Tutunjian decided to acquire 'Viñedos y Bodega Apaltagua' in the marvellous Apalta Valley in Colchagua. The Chardonnay and Sauvignon Blanc come from a vineyard situated in the Coastal Mountain Range. The vineyard is 8 years old, and planted in vertical trellises. The wines obtained from this coastal area achieve excellent results due to the cool climate and evolved soils, which have a clay-sand character, with granite stones and calcareous deposits. Harvested by hand, the grapes are transported in refrigerated trucks in 10-12 kg bins in order to prevent the bunches from being squeezed. This also lowers the chance of oxidation and preserves the organoleptic quality of the grapes. Both varieties are harvested by hand during the month of March. The Chardonnay is always harvested a bit more mature than the Sauvignon Blanc, which gives the wine the optimal balance between the freshness of the Sauvignon Blanc and the full-body of the Chardonnay. 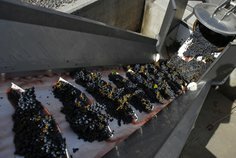 The grapes are then whole-cluster pressed, without a pre-fermentation maceration. Next, the juice is separated from its lees before the alcoholic fermentation takes place. The fermentation process is then carried out in tanks of stainless steel for 20-30 days with selected yeasts, at temperatures between 12° and 13°C (54° and 56°F). Ageing on its fine lees is done in the tank for two to three months, in order to reinforce structure and aromas. Finally, the “liqueur de tirage” is added to the base wine, and the second fermentation takes place in the bottle. 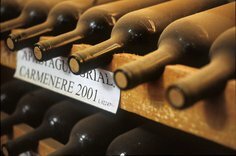 The wine undergoes ageing for 9 months at a constant temperature of 10-12°C (50-53°F). Apaltagua Costero is pale gold in colour, with fine bubbles. On the nose it is clean with marked notes of white fruits, such as green and yellow apples. Clear notes of crusty bread and hazelnuts mix with a delicate hint of buttery aromas. In the mouth it is creamy with subtle flavours of green fruit and dry fruits and a long and lingering finish. Both the Marsanne and Rousanne are fermented together in stainless steel tanks, at very low temperatures, in order to preserve the aromatic characteristics of the varieties. The Viognier is fermented separately, and is added to the blend, adding more vivacity to the wine. The wine is then blended and transferred to a cement egg tank, which allows the treated lees of the Viognier to be constantly in suspension, adding body and a well-rounded mouth to the wine, while maintaining the freshness and fruity characteristics. This process lasts between two and three months. The wine is not filtered, and therefore maintains the essence of the egg tank. Of a pale yellow colour, with green tones, the Colección Blanc is also rather opaque, being an unfiltered wine. In the nose it is intense, with floral notes, and fruits such as apricots and Golden berries. In the mouth it is fresh and mineral, with good volume and creaminess, with a persistent finish. The grapes are harvested by hand early in the mornings in March when they have reached optimal maturity. The grapes are whole-cluster pressed. The must is decanted at low temperatures ranging between 5º to 8º C (41º to 46º F) and then fermented in our winery in stainless steel tanks with selected yeasts at temperatures ranging from 14º to 16º C (56º to 61º F) during a twenty-day period allowing the extraction of its varietal aroma. The wine is then placed in stainless steel tanks for three months before being bottled. The Gran Verano Chardonnay is a straw coloured wine with glints of green. It possesses an intense, fruity aroma with well-emphasized touches of peach, mango and pineapple. The forward fruit and un-oaked flavours are followed by a big, luscious finish. The grapes are harvested by hand early in the morning in February when they have reached optimal maturity. The grapes are whole-cluster pressed. The must is decanted at low temperatures ranging between 5° to 8° C (41° to 46° F) and then fermented in our winery in stainless steel tanks with selected yeasts at temperatures ranging from 14° to 16°C (56° to 61° F) during a twenty-day period allowing the extraction of its varietal aroma. The wine is then placed in stainless guard tanks for three months before being bottled. The Gran Verano Sauvignon Blanc has a bright yellow tint with glints of green. Its prominent aromas of lime blend harmoniously with herbs and floral notes. In the mouth it is soft, citric and refreshing to the palate. The grapes for the Apaltagua Reserva Chardonnay come from vineyards located in the area of El Turco in the Casablanca Valley, a region known for its marked marine influence, and for being the most favourable valley in Chile for the production of white wines. Harvested by hand, the grapes are carefully transported in bins of 350 kilograms, in order for the grapes to remain intact, and so that the organoleptic quality of the grapes is preserved. The yields are kept to around eight to ten tons of grapes per hectare. The grapes are harvested between the months of March and April when they have reached their optimal maturity levels. The grapes first go through an exhaustive selection process, then a pre-fermentation maceration with the skins, in order to extract the aromas. The maceration lasts from four to twelve hours, with low temperatures controlled to 5°C (41°F). Afterwards, the must is pressed, and allows us to extract and separate two types of juice: the highest-quality free-flow juice, and the pressed juice, in order to finally start the fermentation process in tanks of stainless steel. The aging process takes place without separating the lees from the wine, and lasts between four and six months. The wine is then bottled, and the aging process continues in the bottle for three months. A lovely pale yellow hue, our Apaltagua Reserva Chardonnay has flecks of green, and is clean and bright. Aromatically, it reveals hints of tropical fruit, such as passion fruit and pineapple. In the mouth it leaves a persistent note of lemon peel and melon. The Pinot Gris grapes come from a vineyard located in the Coastal Mountain Range at an altitude of 200 meters above sea level. The vineyard is 4 years old, and is trellised in soils composed of a loam-clay-sand blend, with a significant presence of granite rocks. Our grapes are harvested by hand and transported by refrigerated trucks to diminish the risk of oxidation and preserve the organoleptic quality of the grapes. Next, the grapes are pressed and the juice is separated from the skins and slightly filtered to obtain a clean fermentation. Next, the must is fermented in tanks of stainless steel for 20 days, with selected yeasts. Finally, the ageing takes places on the fine lees of the wine, in stainless steel tanks for 2-3 months, in order to reinforce the structure and aromas before bottling. Pale yellow in colour, with an intense aromatic expression of flowers and white fruits, such as orange blossom, pear and green apple. The mouth is fresh and smooth, with fruit flavors and a vibrant acidity with a citric character and a long finish. This Riesling comes from the mountain range vines, which are at an altitude of 500 meters above the sea, in the area of Rio Claro in Talca. The vines are 13 years old, and are planted on trellises in soil that is composed of clay and loam, ideal for the production of white grape varieties. The yields are controlled, and production is approximately 10-12 tons per hectare. The grapes are harvested by hand in April when they have reached optimal maturity, and are transported in bins of 350 kilograms so the clusters are not crushed, thus preserving the organoleptic quality of the grape. The grapes then undergo maceration at low temperatures for 12 hours. Subsequently, the juice is separated from its skins and decanted to obtain a clean fermentation. Next, the must is fermented in tanks of stainless steel for 20 days, with selected yeasts at temperatures of 15°-16°C (59°-61°F). An additional aging, with the fine lees is done in steel tanks for an additional 2-3 months to reinforce the structure and aromas. Finally, the wine is bottled. This Riesling is pale yellow, clean and bright. The nose is fresh and, at the same time, perfumed, full of fruit, citrus and floral aromas, highlighting notes of grapefruit, lime, apple and apricot, while delivering subtle notes of caramel, which lend to its complexity. In the mouth, it is fresh, fruity, and well-balanced, with good acidity and smoothness, a great mid-palate, mineral qualities and a dry touch. This Sauvignon Blanc comes from a vineyard located in the Coastal Mountain Range, at 71°28’14” W and 33°41’20” S with an altitude of 200 meters above sea level. The vines are 8 years old and are planted on trellises in soil composed of loam, sand and clay with granite rocks. The controlled yields are approximately 10-12 tons per hectare. Apalta is situated in the centre of the Colchagua Valley, a few kilometres from the town of Santa Cruz. 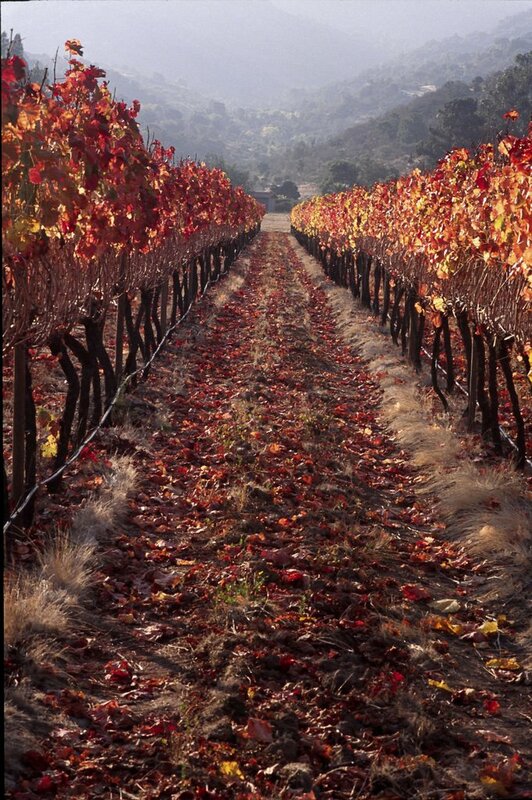 The Apalta Valley is made up of 800 hectares of grapes and other crops. This valley is characterized by its excellent conditions for the development of wine grapes, which has been demonstrated by the great wines that are produced in the area. The grapes are harvested by hand in April and are transported in boxes of 10-12 kilograms in refrigerated trucks so the clusters are not crushed, the risk of oxidation is diminished, and the organoleptic quality of the grape is preserved. The grapes then undergo maceration at low temperatures for 12 hours. Subsequently, the juice is separated from its skins and slightly filtered to obtain a clean fermentation. Next, the must is fermented in tanks of stainless steel for 20-30 days, with selected yeasts at temperatures between 12°-13°C (53°-55°F). The aging is continued, with the lees, in steel tanks for an additional 2-3 months to reinforce the structure and aromas. Finally, the wine is bottled and launched onto the distinct markets. With a strong and expressive character, this Sauvignon Blanc demonstrates the potency of the San Antonio Valley, leading with its herbaceous, salty and citric notes, such as key lime and touch of minerality. The flavour is fruity and the texture is creamy, the acidity is crisp with a juicy finish. It is a full-bodied wine, balanced, with a large personality and exquisite elegance. The potential cellaring is 3 years, and is ideal to accompany goat cheese, shellfish, oysters and mild fish. The grapes are harvested by hand early in the mornings in April when they have reached optimal maturity. The grapes are macerated at low temperatures during a 12 hour period, and then the must is separated from the skins to start a clean fermentation in stainless steel tanks with selected yeasts at temperatures ranging from 14º to 16º C (57º to 61ºF) during a twenty-day period. The wine is then placed in stainless steel tanks for 3 months before being bottled. The Gran Verano Rosado Carmenere has a pink colour with brilliant tones. Its prominent aromas are cherries and spice. In the mouth it is soft and well balanced and refreshing to the palate. The grapes cultivated for the Apaltagua Carmenere Rosé come from two vineyards, one situated in the Apalta Valley, where the Carmenere grapes are grown, and the other in the Maule Valley, where the Syrah grapes are harvested. Both valleys are located in the greater Central Valley of Chile. The vineyards are located in large, ﬂat ﬁelds, with sloping hillsides, in places with extraordinary natural conditions ideal for the growth of the grapevines. The grapes are harvested by hand in the month of March, when the grape has the ideal high level of acidity, and a low level of sugar, which enables us to produce a wine that is very refreshing with a low level of alcohol. After the harvest, the grapes undergo maceration at very low temperatures, and then are pressed reductively (protecting the grape completely from contact with oxygen). Immediately the free-ﬂowing juice is separated from the pressed juice, and after a decantation, the juices are fermented separately in tanks of stainless steel for twenty days with selected yeasts, at temperatures between 13° and 15°C (55° and 59°F). Finally, the wine is aged for two to three months with its lees before being bottled. The Colección Carignan comes from a vineyard on the Banks of the Cauquenes River, with an alluvial soil consisting of thin, poor loam and clay, with a presence of quartz. This vineyard was planted in bush vines during the 1960s, and up until today all of the agricultural work is done using horses. The vines are also completely dry-farmed, allowing a very limited production of highly concentrated grapes. The grapes are harvested at the end of April and Harvested by hand, the grapes are transported in bins of 10-12 kg. at night, in order to avoid any type of oxidation. In order to extract colour and aromas, once the grapes are de-stemmed, they pass through a grape-by-grape selection table, and then onto a small stainless steel tank (10,000L capacity), where they remain for four to six days in cold maceration (temperatures lower than 10°C). Afterwards, the fermentation takes place, lasting eight to ten days, using selected yeasts, at temperatures between 24°-26°C. A selective post-fermentation maceration is done for just a few days, before finishing malolactic fermentation in French oak barrels with one to two years of previous use. The wine remains in the barrels for 12-14 months. Finally, the wine is blended in a stainless steel tank, and ages for three to four months before bottling. The Coleccion Pinot Noir comes from a vineyard located just 12 kilometers from the Pacific Ocean, in the Coastal Mountain Range. Pinot Noir and white varieties from this zone produce excellent results, due to a climate which is much cooler than in the other viticultural regions of the country. The soils in this area are a clay-loam mixture, with sand and small granite stones. The grapes are harvested by hand at the beginning of April and the grapes are transported in bins of 10-12 kilograms in refrigerated trucks. This is to ensure the bunches arrive healthy and intact to the winery, preserving the organoleptic characteristics of the grape.. Aiming to extract both colour and aroma, the grapes are de-stemmed and undergo a cold maceration for 4-6 days, at temperatures below 10°C (50°). Next, the grapes begin fermentation, which takes between 8-10 days, with selected yeasts, at temperatures between 24°-26°C (75°-79°F). Malolactic fermentation is done in French oak barrels, with 2-3 years of previous use, and lasts for five to six months. Finally, the wine is blended in stainless steel tanks, where it matures for 3-4 months before bottling. The grapes are harvested by hand in April when they have reached optimal maturity. The harvest is done very selectively in order to ensure only the best grapes from the 60 year old vines. In order to extract colour and aromas, the must is interfused with its skin for three days at low temperatures. The must is then fermented for seven days in stainless steel tanks with selected yeasts at temperatures ranging from 28° to 30° C (82° to 86°F). The wine is then left to macerate for two additional weeks in order to extract its fruity characteristics. Afterwards, 60% of the wine is aged in American and French oak barrels and 40% in stainless steel tanks. The wine is then aged in oak for 10 to 12 months. Finally, the wine is cellared in bottles for six additional months. The entire vineyards are carefully tended with affection and with respect for the natural surroundings. The grapes in the Gran Verano Cabernet Sauvignon wine come from Apaltagua’s own three vineyards in the Central Valley in Chile. The vineyards were planted in flat and low ridges in places with extraordinary natural conditions, perfect for the growth of grapevines. The grapes are harvested by hand in April when they have reached optimal maturity. The must is then fermented in our winery in stainless steel tanks with selected yeasts at temperatures ranging from 28° to 30° C (82° to 86° F) for seven days. The wine is then left to macerate for five additional days in order to extract its fruity characteristic. Finally, the wine is placed in stainless steel tanks for three months before being bottled. The entire vineyards are carefully tended with affection and with respect for the natural surroundings. The grapes in the Gran Verano Merlot wine come from Apaltagua’s own three vineyards in the Central Valley in Chile. The vineyards were planted in flat and low ridges in places with extraordinary natural conditions, perfect for the growth of grapevines. The grapes are harvested by hand in March when they have reached optimal maturity. The must is then fermented in our winery in stainless steel tanks with selected yeasts at temperatures ranging from 28° to 30° C (82° to 86° F) for seven days. The wine is then left to macerate for an additional five days in order to extract its fruity characteristic. Finally, the wine is placed in stainless steel tanks for three months before being bottled. The entire vineyard is carefully tended with affection and with respect for the natural surroundings. The grapes in the Apaltagua Grial come from Apaltagua’s own 60-hectare vineyard in Apalta in the Colchagua Valley in Chile, a place renowned for the perfect natural conditions required for the growth of grapevines. The grapes are harvested by hand in May, with care given to select the best bunches of grapes from the 60 year old vines. In order to extract colour and aromas, the must is interfused with its skin for three days at low temperatures. The must in then fermented for seven days in stainless steel tanks with selected yeasts at temperatures ranging from 28º to 30º C (82º to 86º F). The wine is next left to macerate for two additional weeks in order to extract its fruity characteristics. After that, the wine is aged in brand new oak barrels for twelve months. Finally, the wine is cellared in bottles for six additional months. This Apaltagua Grial boasts opulent, ruby red colouring. It is dense, well-structured, and balanced with touches of plum, blackberry, and mineral complimented by a subtle hint of toasted oak. Appetizing and juicy, it is a delicious example of the best Carmenere Chile has to offer. The entire vineyards are carefully tended with affection and with respect for the natural surroundings. The grapes in the Mapuche Merlot wine come from Apaltaguas own three vineyards in the Central Valley in Chile. The vineyards were planted in flat and low ridges in places with extraordinary natural conditions perfect for the growth of grapevines. Central Valley has a Mediterranean-style climate with a cold and rainy winter and a dry and warm summer. Marked temperature differences between day and night make ideal conditions for the growth of the wine grapes. The grapes are harvested by hand in March when they have reached optimal maturity. The must is then fermented in stainless steel tanks with selected yeasts at temperatures ranging from 28° to 30° C (82° to 86° F) for seven days. The wine is then left to macerate for five additional days in order to extract its fruity characteristic. Finally the wine is placed in stainless steel tanks for three months before being bottled. The Mapuche Merlot is a ruby red coloured wine and possesses fresh fruit aromas with a touch of cherry. It displays an elegant finish with soft, round tannins. The grapes are harvested by hand in April when they have reached optimal maturity. In order to extract colour and aromas, the must is interfused with its skin for three days at low temperatures. The must is then fermented for seven days in stainless steel tanks with selected yeasts at temperatures ranging from 26° to 28°C (79° to 82°F). The wine is next left to macerate for an additional ten days to extract its fruity characteristics. Then, 50% of the wine is aged in oak barrels for six to eight months before its launch on the market. This Apaltagua Reserva Cabernet Sauvignon is characterized as being a sophisticated and elegant wine, in which touches of strawberry and cherry are well emphasized. In the mouth, it possesses a delicate, velvet, full-bodied taste, and has a generous lingering finish. The entire vineyards are carefully tended with affection and with respect for the natural surroundings. 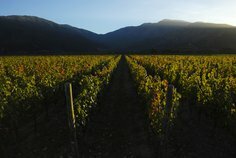 The grapes in the Apaltagua Reserva Carmenere wine come from their own 60-hectare vineyard in Apalta in the Colchagua Valley in Chile, a place renowned for the perfect natural conditions required for the growth of grapevines. The Colchagua Valley has a Mediterranean-style climate with a cold and rainy winter and a dry and warm summer. Marked temperature differences between day and night make an ideal condition for the growth the wines grapes. The grapes are harvested by hand in April when they have reached optimal maturity. In order to extract color and aromas, the must is interfused with its skin for three days at low temperatures. The must is then fermented for seven days in stainless steel tanks with selected yeasts at temperatures ranging from 26° to 28°C (79° to 82° F). The wine is next left to macerate for an additional ten days to extract its fruity characteristics. Then, 50% of the wine is aged in oak barrels for six to eight months. This Apaltagua Reserva Carmenere is an intense wine, wild purple in color. From start to finish, the touches of tobacco, and red and black cherries intermingle, producing a great potency in the mouth. It possesses a generous body with smooth and friendly tannins. It is a well rounded wine with a juicy and lingering finish. The entire vineyard is carefully tended with affection and with respect for the natural surroundings. 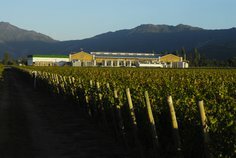 The Huaquen vineyards are located between the Curico and Maule Valleys in Curepto. This area was carefully selected by professionals due to its climate and location. The Huaquen vineyards are characterized by being set in the hills at the foot of the coastal mountain range, which provides excellent sun exposure ideal for producing quality wine grapes. Harvested by hand, the grapes are transported in 400kg bins preventing the grape clusters from being pressed in order to preserve the organoleptic quality of the grape. The grapes are harvested by hand between April and May. In order to extract colour and aromas, the grape is de-stemmed and put into stainless steel tanks with a medium volume for 4-6 days at cold temperatures (below 50°F) in order to macerate. After, the must is fermented for 7 days with selected yeasts at temperatures between 28°-30° C (82° to 86° F). The malolactic fermentation is done in stainless steel tanks; however, part of this wine (30-40%) is aged for 5-6 months in French barrels which have been used for 1-2 years prior. Finally, both are combined in stainless steel tanks and aged for 3-4 months before bottling. Bright and ruby red incolour, this Apaltagua Reserva Malbec possesses notes of cherry and cassis with a touch of vanilla. The floral notes also give this wine an edge. On the palate it has well-rounded touches of red fruits and plum. It is ideal to drink now. The entire vineyard is carefully tended with affection and respect for the natural surroundings. The grapes cultivated for the Apaltagua Reserva Merlot come from 14 year old vines in Apaltagua’s own 60 hectare vineyard in the Colchagua Valley, in the community of Palmilla. Harvested by hand, the grapes are transported in bins of 400 kilograms so that the bunches remain intact, thus preserving the organoleptic quality of the grapes. Yields are approximately 10,000-11,000 kilograms per hectare. The grapes are harvested by hand at the beginning of April. In order to extract colour and aromas, the grape is de-stemmed and the must is placed in stainless steel tanks, where it remains for four to six days during a cold, pre-fermentation maceration (temperatures below 10°C or 50°F). Next, the alcoholic fermentation lasts for seven days, with selected yeasts, at temperatures between 28° to 30°C (82° to 86°F). Malolactic fermentation is done in stainless steel tanks. Afterwards, one part of the wine (between 30-40%) is transferred to French oak barrels with two to three years of use, and is aged for five to six months. Finally, the wine is blended in stainless steel tanks and continues to age for three to four months before being bottled. Red with glints of purple, This Apaltagua Reserva Merlot has notes of raspberry and creme de cassis. The aroma is intense, with touches of fresh fruit and a light hint of spices. In the mouth it is elegant, with a medium body. The tannins are smooth and round, with just enough oak to lend elegance and a persistent finish. The entire vineyard is carefully tended with affection and with respect for the natural surroundings. The grapes in the Apaltagua Reserva Pinot Noir come from Apaltagua’s own vineyard, called Manantiales, in the sector of El Turco in the San Antonio Valley, a place with extraordinary natural conditions required for the growth of grapevines. The San Antonio Valley has a Mediterranean-style climate with a cold, rainy winter and a warm, dry summer. Marked temperature differences between day and night make ideal conditions for the growth of our wine grapes. The grapes are harvested by hand in March when they have reached optimal maturity, with care given to select the best bunches of grapes. In order to extract colour and aromas, the must is interfused with its skin for three days at low temperatures. The must is then fermented for ten days in stainless steel tanks with selected yeasts at temperatures ranging from 24° to 26°C (75° to 79°F). Then, 30% of the wine is aged in oak barrels for six to eight months. Finally, the wine is cellared in bottles for six additional months. 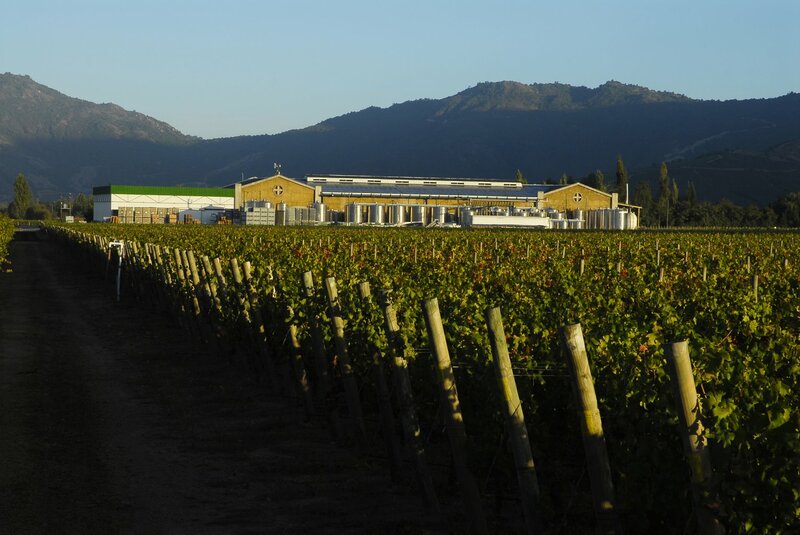 The Huaquen vineyards are located on the border of the Curico and Maule Valleys in Curepto. The Huaquen vineyards are set in the hills at the foot of the coastal mountain range, which provides excellent sun exposure ideal for producing quality wine grapes. Harvested by hand, the grapes are transported in 400kg bins, preventing the grape clusters from being pressed in order to preserve the organoleptic quality of the grape. Yields are around 8000 kilograms per hectare. This broad valley, which parallels the Andes and coastal range, has two very distinct day and night temperatures with an annual average of 14°C. Winter has the most rain with an average of approximately 28 inches per year. However, the summer is dry with temperatures around 30° C. The high pressure that comes from the Pacific Ocean causes lower temperatures at night. These conditions allow a long and complete maturation that favours the organoleptic quality of the grapes. The grapes are harvested by hand between April and May. In order to extract colour and aromas, the grapes are de-stemmed and put into stainless steel tanks with a medium volume (30,000 kg) for 4-6 days in cold temperatures of 10ºC (below 50ºF) in order to macerate. After, the must in fermented for seven days with selected yeasts in temperatures between 28°and 30° C (82° to 86° F). The malolactic fermentation is done in stainless steel tanks; however, part of this wine (30-40%) is aged for 5-6 months in French barrels which have been used previously for one to two years prior. Finally, both are combined in stainless steel tanks and aged for 3-4 months before bottling. The grapes for the Apaltagua Signature Cabernet Sauvignon come from the Maipo Cordillera area, at the foot of the Andes Mountains, where the best Cabernet Sauvignon is produced in Chile, wines made from highly-concentrated grapes. The vines for this Cabernet Sauvignon were planted more than 30 years ago, and the yields are approximately 5000 kilograms per hectare. The grapes are harvested by hand in April when they have reached optimal maturity. The harvest is done very selectively in order to assure the best choice of grape clusters from specific areas of the vineyard that are over 30 years old. In order to extract colour and aromas, the must undergoes a three-day pre-fermentation at low temperatures. Afterwards the must is fermented in stainless steels tanks for seven days with selected yeasts and temperatures ranging from 28° to 30° C (82° to 86° F). Malolactic fermentation is done in new, 100% French oak barrels which allows for better integration of the wood and tannins. The wine is aged for 12 months in the barrels and then kept in stainless steel tanks for five months. After, the wine is bottled and aged for a further 10 months. The Pinot grapes come from the vineyards situated in the Coastal mountain range. The Moscatel grapes come from 100 year old vines located in the traditional Cauquenes area in the Maule Valley. These dry-farm vineyards are managed in the old fashioned vitcultural style. Finally the Viognier grapes come from the Hauquen estate in the Curepto area of the Maule valley. The grapes are harvested by hand from selected grapes from three vineyards late in the growing season, during the months of May and June. The grapes are transported in 10-12 kilo bins in refrigerated trucks to avoid crushing the grapes and diminishing the risk of oxidisation. 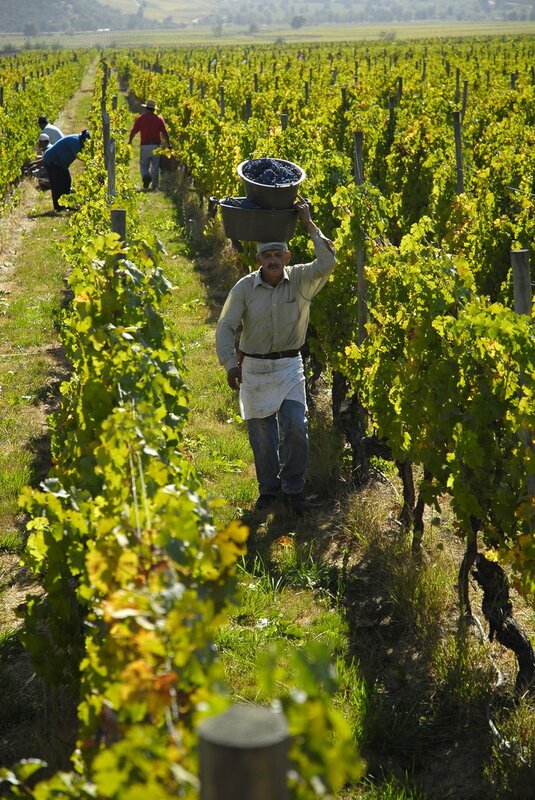 Harvesting in this way preserves the organoleptic quality of the grapes. The harvest includes 40% semi dried grapes and 60% Boytris affected grapes. The must is fermented in stainless steel tanks. Because of the high level of sugars, the fermentation process is very slow and lasts approximately 1 month. The result is a more aromatically complex wine with more weight in the mouth. This 'Late Harvest' wine, which makes up part of our premium portfolio has various factors which make it very unique. In the nose you can perceive raisin aromas, honey as the the traditional Late Harvests, as well as fresh grape scents. The mouth has a great balance of freshness, minerality, sweetness and structure. The Riesling grapes come from a vineyard situated in the Coastal Mountain Range at an altitude of 200 meters above sea level. The vineyard is planted on vertical trellises and is 8 years old. The wines from this coastal zone are of excellent quality due to the cool climate and the well-evolved soils, which are a mix of loam-clay-sand with granite rocks and calcium deposits. The wine is made from selected grapes, which are harvested by hand very late in the growing season, during the months of May and June. The grapes are transported in 10-12 kilogram bins in refrigerated trucks, to avoid crushing the grapes and diminish the risk of oxidation. This way it preserves the organoleptic quality of the grape. The harvest includes 40% semi-dried grapes and 60% Botrytis-affected grapes. The must is fermented in stainless steel tanks, with 10-15% of the wine fermenting in new French oak barrels, at a temperature of 14-16°C (57-66°F). Because of the high level of sugars, the fermentation is very slow, lasting one month, and results in a more aromatically complex wine, and more weight in the mouth. The fermentation is stopped by lowering the temperature when 90 grams of sugar remain, and is transferred maintaining its cold temperature, thus conserving its fresh aromas. This Late Harvest Riesling has an intense wheat-yellow colour. Its aromas are complex, dominated by mature fruit such as papaya, canned peaches, quince, with ginger notes, and mixed with a subtle floral background and a refreshing minerality, due to its origins. Food pairing suggestions: Ideal to accompany mature cheeses, blue cheese, desserts and fruit.